The real estate market in Park City, UT sky-rocketed during the first quarter of 2017. Comparing the first quarter real estate sales of 2017 to the first quarter of 2016 looks similar to the snowfall comparisons between the two years. With all that said, the YouInParkCity.com Group knows that 90 days worth of sales isnt enough to be statistically relevant and the small sample size we are dealing with is easily skewed. If we remove the $50M worth of sales at the Stein Eriksen Residences (SER), condominium unit volume changes to being up 30% with dollar volume up 35%. The timing of new product to the market definitely impacts our numbers in the first quarter which is historically one of the slowest of the year. In addition to SER mentioned above, a similar story may have happened around the Jordanelle Reservoir where unit sales we up nearly 60% with the completion of many townhomes at Black Rock Ridge and Parks Edge. The story-line that may be more relevant and reliable in terms of the data is about scarcity. The greater Park City area currently has under 800 homes and condominiums for sale; the first quarter (which we mentioned is normally slow) had over 300 completed sales. That is less than 9 months inventory at the current sales volume. This isnt necessarily out of whack until we look at pricing and sales within price points. Note that the stats here are just raw data Park City area home and condo numbers and really dont take locations, views, finishes and all the things that make a home unique and special into account. Thirty percent of the sales in the past year were on the market for less than two weeks. Having someone that knows the market and the specifics of what you want to buy or have to sell is imperative. Contact the YouInParkCity.com Group for all your Park City Real Estate needs. Posted in buyers, Park City Real Estate Notes, sellers, market statistics | 0 Responses to "Real Estate Sales in Park City. Q1, 2017"
With the ski season in Park City now over (everyone except Mother Nature and the snow gods believe this to be true), it is time to take a look at real estate sales since January and our current Park City Real Estate Market. If we had to size it all up in one line, it might read Prices are up and sales volume (in units) is down but that really doesnt tell the whole story. Park City, UT has a complex real estate market made up of many sub-markets; it is in-town vs out-of-town, in the Park City school district versus out, ski-in/ski-out versus a shuttle to the slopes, the Heber Valley, the Kamas Valley, Resort/Second home versus primary residence, dogs vs cats and more. Well take a look at some of these sub markets with a strong focus on prices; if weve missed something that is particularly important to you call or email us and well give you an in depth look at the area that means the most to you as a Buyer or Seller. While the number of available homes and condominiums for sale in the greater Park City area (In-town, Snyderville (out-of-town) and the Jordanelle area) has remained fairly constant over the past couple of years, asking prices for the available inventory has become very skewed. The Single Family home sales inside the city limits show a median sales price of just over $1.5M for the past 12 months yet of the active 125(+) MLS listings less than 15 have an asking price below $1.5M and 100 have an asking price above $2M. The Snyderville Basin (out-of-town area) is only slightly better with less than 15% of its active MLS listings below its 12 month median sales price of $912,500. 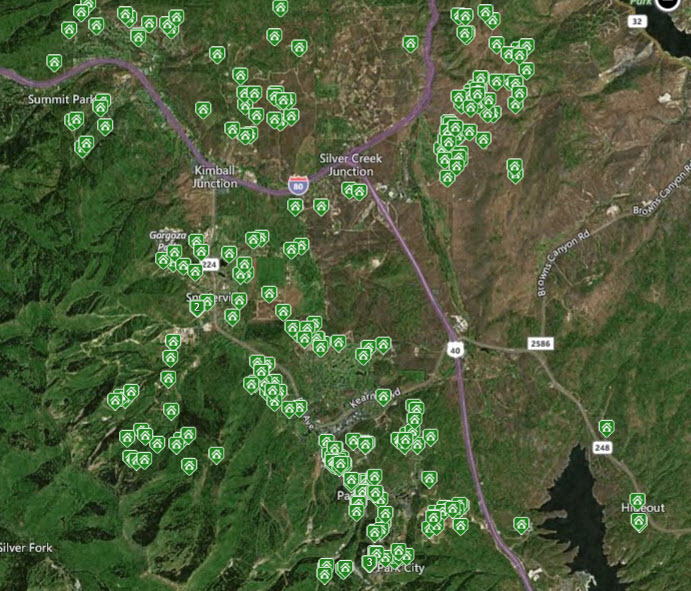 There are currently no homes for sale in the Greater Park City area for under $500K. 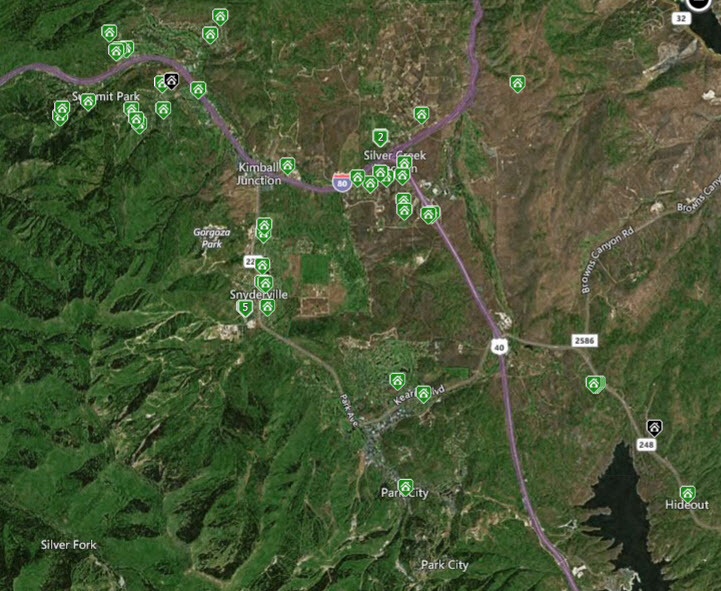 Moving outside of Park City into the Heber and Kamas Valleys (10-15 minutes to the south and east) dramatically changes what can be purchased. The changes lie mostly in the price as these two valleys have over 150 current for sale homes priced for less than $1 million, but both have the same issue of relatively few homes available below their median sales prices (only about 20 % of the available inventory is priced below the median sold prices of the past 12 months). Condominiums in the Greater Park City area are experiencing a similar inventory crisis with only 30% of the active inventory having an asking price below the median sales price for the past 12 months. This number doesnt appear as skewed as the Single Family home data for Park City, but much of that has to do with the availability of smaller units (studio and one bedroom models). Condominium pricing is still heavily weighted toward higher prices over 40% of the active condominium inventory has an asking price over $1 million. The lack of inventory in the Greater Park City areas continues to have an impact on how quickly sales happen as nearly 35% of all sales in the past year were on the market for less than 2 weeks before being sold. We are in both a Buyers and Sellers market; higher priced homes and condominiums give the Buyers a lot of choices while Sellers in lower price categories for their neighborhood can play hard ball. Posted in buyers, sellers, market statistics | 0 Responses to "Park City Real Estate Sales 2016 Q1"